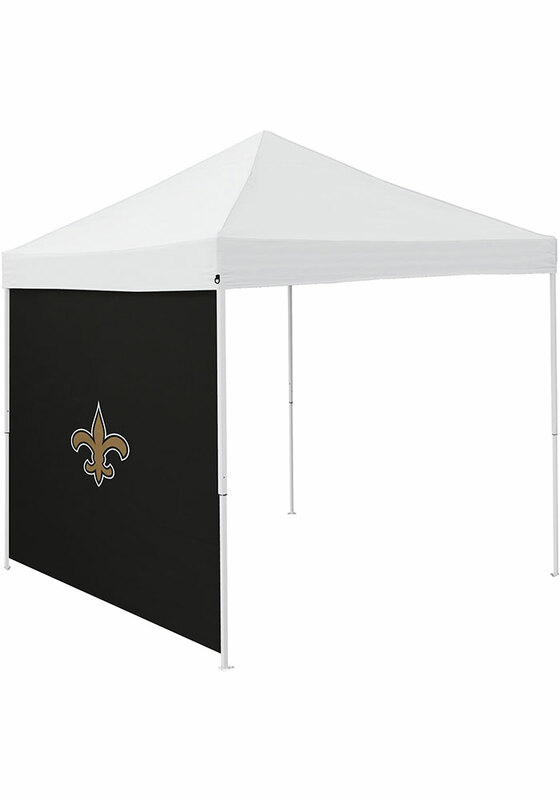 Stay out of the elements with this New Orleans Saints 9x9 Team Logo Tent Side Panel. This Tent Side Panel features a New Orleans Saints logo. This side panel easily attaches to any 9' x 9' canopy with hook and loop straps on the top and side. Great for privacy, shade or weather protection.This is for 9x9' tents. This item does not come with a tent frame or canopy. Go Saints!